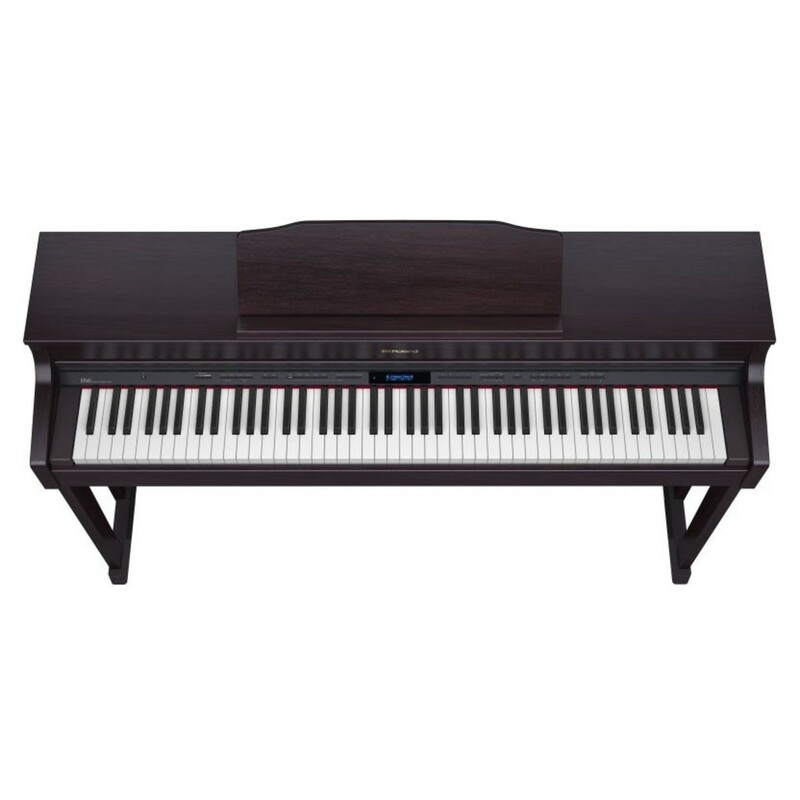 The Roland HP603A Digital Piano is designed with the advanced home musician in mind. The SuperNATURAL sound engine produces an accurate and organic sound. The HP603A's library features 319 voices including pianos, synths and orchestral instruments. This model benefits from Bluetooth MIDI and audio integration allowing you to connect with bespoke apps and stream music. The HP603A features a PHA-50 keyboard which has a weighted feel and responds to your playing with accuracy. 10 Year Warranty - Roland are happy to offer a 10 year UK warranty for no extra cost. The HP603A uses SuperNATURAL piano modelling technology to recreate authentic acoustic piano sounds. Rather than replaying a sample recording, the modelling technology registers the entire motion of each key and the sound creation process of an acoustic piano. Along with a wide combination of variants, SuperNATURAL technology incorporates additional resonance that an acoustic piano would provide and how the different elements would interact with each other. 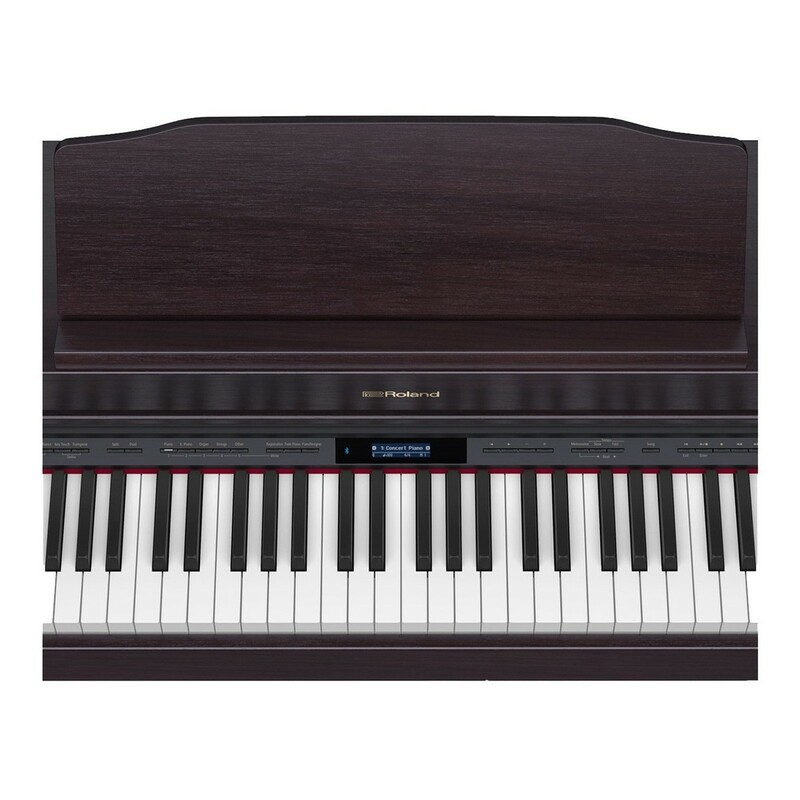 The result of using this technology is an increased level of responsiveness and a rich sound with complex overtones that is not achievable from using piano samples. The HP603A features Roland’s flagship keyboard design for the most authentic feel possible. The PHA-50 progressive hammer action keyboard has a weighted feel with consistent response through the entire motion of each key. 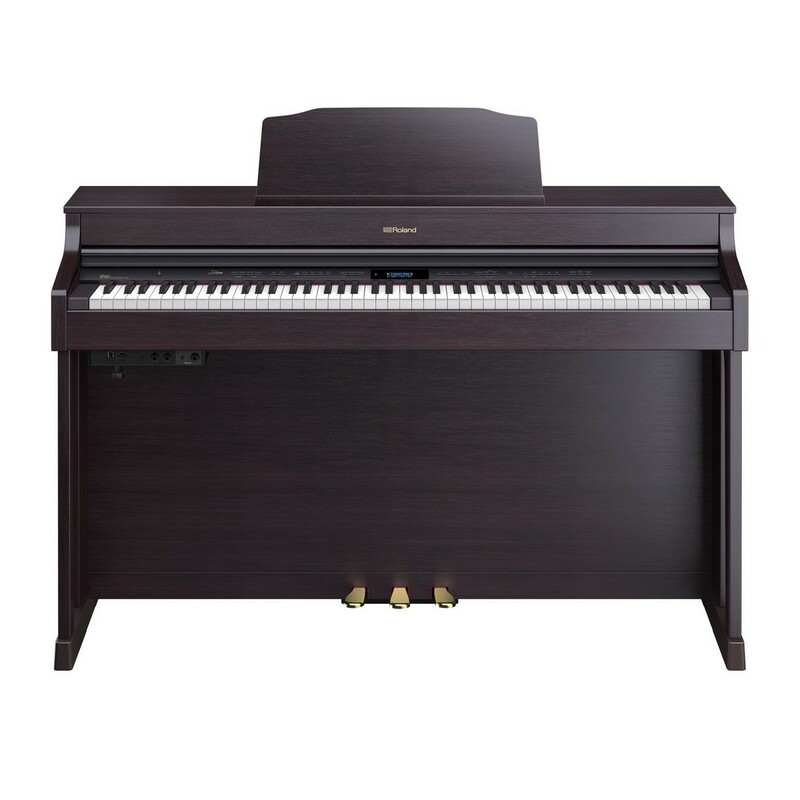 The wood and plastic hybrid construction has an identical response to an acoustic piano, whilst the coating ensures long lasting durability. The ebony/ivory feel keytops absorb subtle moisture from your fingers for a more organic feel over time. Musicians who are accustomed to acoustic pianos will find the HP603A’s keyboard an easy transition. Bluetooth connectivity allows musicians of all abilities to develop their skills. Roland’s app range includes Piano Partner 2, which shows the notation for all the integrated songs for easily playing along with. This app also has a page turning function which can be controlled by the pedals. The Bluetooth Audio function streams your music directly to the piano’s speakers, using your HP603A as a hi-fi system. The HP603A has been designed with the home environment in mind. The panel is sleek and easy to understand, featuring all the controls needed to quickly access the main features. The Bluetooth integration allows you to intuitively enhance the sound and response to your own preferences. 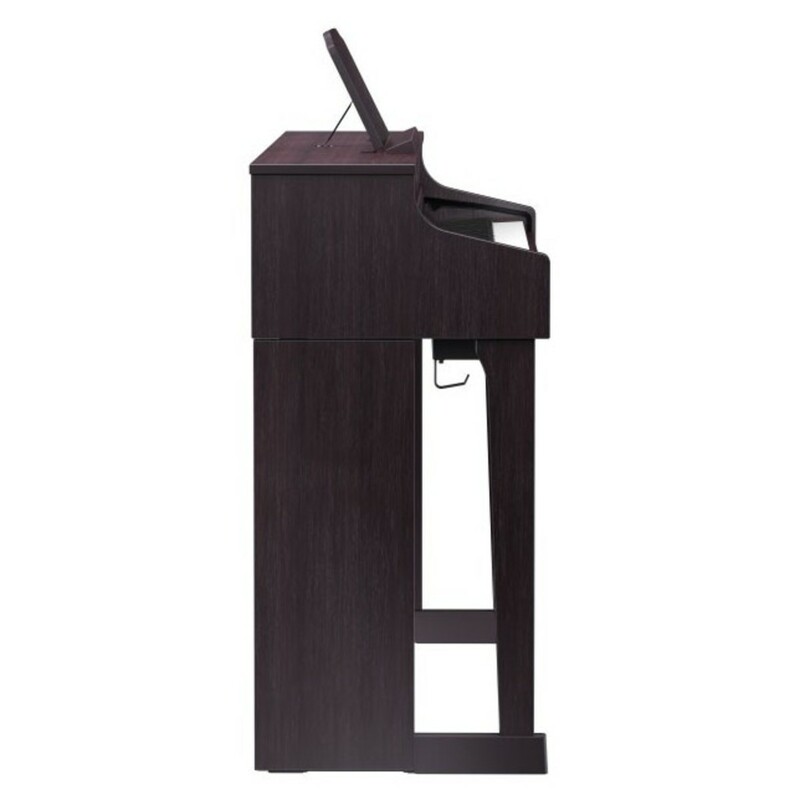 The HP603A’s stand features a full back cabinet for the authentic look of an acoustic piano. Playing a Roland digital piano is a long term investment of time. That’s why Roland have offered a 10 year warranty with all of their HP and LX series instruments. These pianos have been designed for you to develop with for years to come, and feature the quality needed to achieve consistent progress. In order for optimum reliability, Roland’s 10 year warranty removes any worries concerning internal issues. 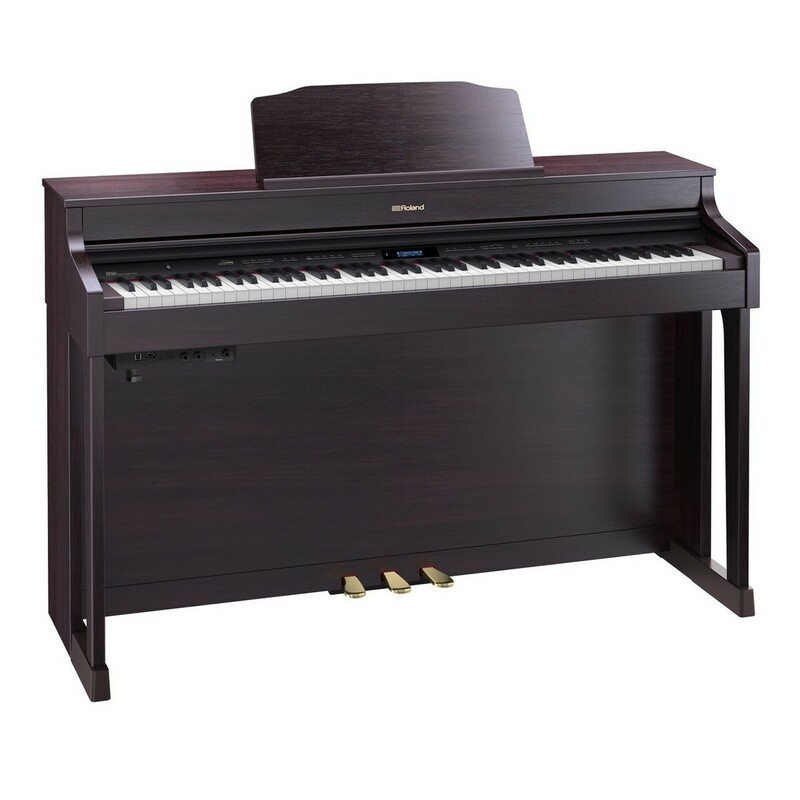 This warranty protects your piano against failure due to a manufacturer fault.